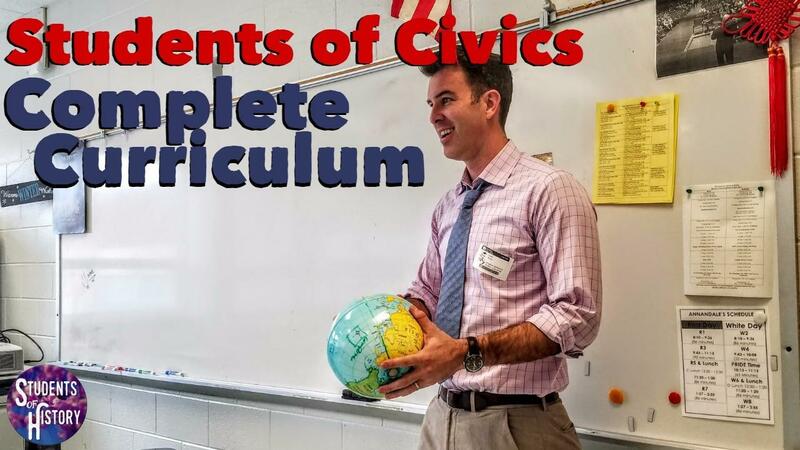 Students of Civics Curriculum Now Available! Civics and Government Curriculum Resources Now Available! Hi there! I have been hard at work these past few months getting my American Government resources ready to be posted! You might know that I already have Complete Curricula available for both World History and US History available for subscription at StudentsofHistory.com. However, it took me awhile to figure out a way that worked well for government as well. I tend to use a lot of current events in Government and (as I'm sure we're all aware) politics these days are a whirlwind. I knew I had a lot of great resources to share though and realized now is the time that we need strong Government classes the most. So, while the curriculum you'll find here isn't complete yet (as of October 2017), it will be soon. I know that teachers still need activities for the units you're teaching now. There's over 120 activities and teaching resources ready to be used for those 5 units, with detailed lesson plans for each day of every unit. You can see the future units and their expected availability dates here on the curriculum page. Joining the site gives you immediate access to all of the currently available units. You can download as many resources as you like. As long as you remain a member, you'll gain access to future resources as they become available. I am really excited about the resources and activities that are available now and those still to come. I've used them successfully myself and they're all engaging, hands-on, and interactive. There's even more to come with units on the 3 branches of government, local government, and more! Stay tuned for these to be posted over the next few months. Thanks so much for stopping by and happy teaching!